Puncak Mundi Temple is situated at the peak of Mundi Hill, at Klumpu Village, Nusa Penida. This place has an altitude of 529 meters above sea level and is the highest point on the island of Nusa Penida. Visitors will pass through an uphill road to reach the location of the temple. Amazing natural beauty is ready to welcome visitors along with the cool breeze and strong winds. On the way to the temple, visitors can also see the facilities of alternative energy, wind turbines and solar panels. The turbine is also located on the other hill, but overall its function is less than optimal. At the time of temple ceremony (Wednesday / Budha Umanis Prangbakat) many Hindu people come to pray. 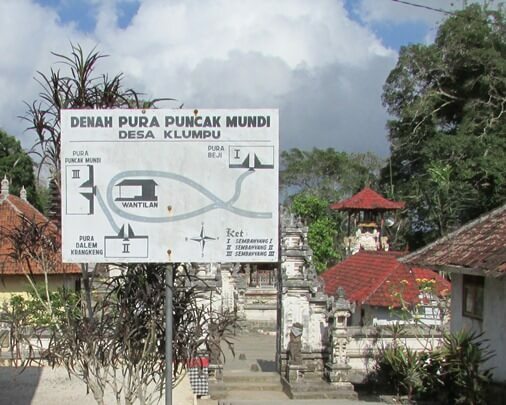 Like the other temples, Pura Puncak Mundi is very sacred and highly respected. 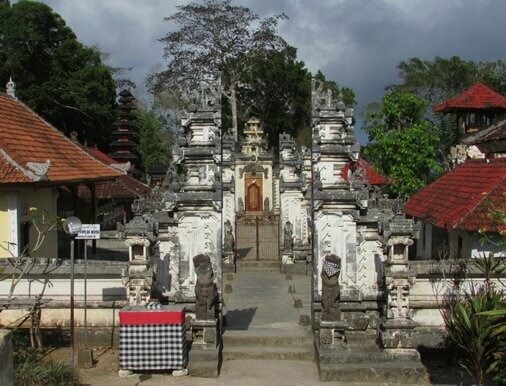 This holy temple consists of three temples include: Pura Beji, Pura Dalem Krangkeng, and Pura Puncak Mundi. At the location of Pura Beji there is a concrete beams that are believed as mark of the highest point in Nusa Penida. 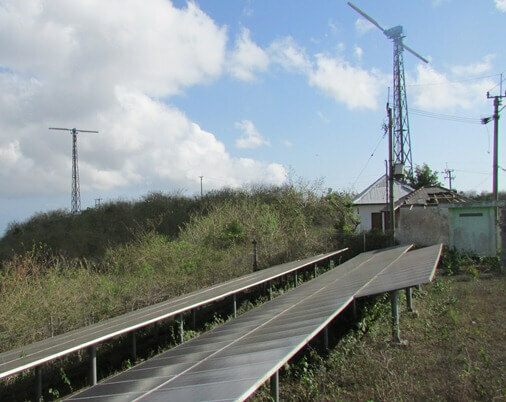 On top of the beams there is also a round metal plate as a sign of Geodesy. The first stage of prayer is done in Pura Beji. 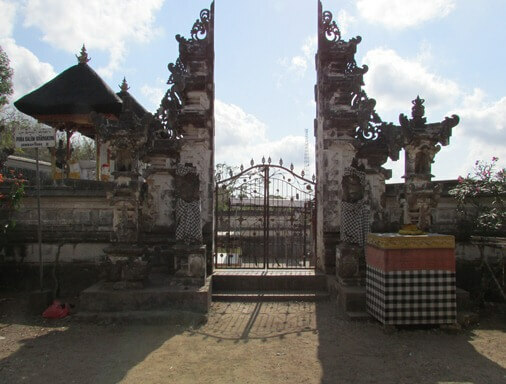 Then continue to the Pura Dalem Krangkeng (at the south side of Wantilan) and last in the Pura Puncak Mundi (at the west side of Wantilan). Pura Puncak Mundi is the stana of Ida Bhatara Lingsir. Puncak Mundi has rich historical value, full of mystery and of course the spiritual vibration. Highly recommended for lovers of spiritual tourism. Hindu peoples usually perform worship at Puncak Mundi first, and then continue to other temples and the last in Penataran Ped Temple.